Student loans are a serious problem not only in USA or Europe. In fact, Chinese students have to go at unbelievable lengths to get a loan. And, they have to sacrifice their privacy. As told by WhatsOnWeibo, some netizens claimed there’s a ‘Naked Loan’ practice of lending money to female loaners where they use their ‘body’ instead of financial records. The Typical Student team has learned more about Chinese loan practices. One can interpret the phrase “naked loan” (luǒdài 裸贷) in two ways: on the one hand, no material assets or money is required to guarantee the loan; on the other hand, the naked female body is accepted as a guarantee instead. 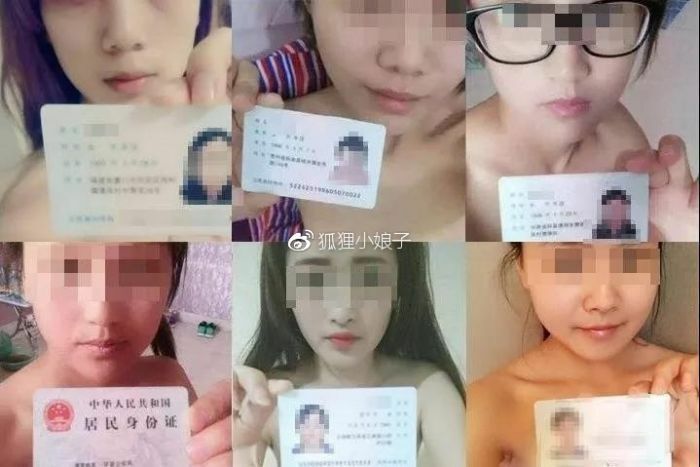 As told by WhatsOnWeibo, to obtain a naked loan, borrowers take naked selfies holding their ID cards so that they could be clearly readable. What Happens If a Borrower Delays The Payment? In the case of a delayed payback, loaners will be able to blackmail the borrowers’ with the possibility of leaking their naked pictures on the internet, or exposing them to their parents and family. The most concerning thing about the “naked” loans is that the borrowers are female college students aged between 17-23. Experts believe, the “naked” loan phenomenon reveals the materialism of modern youth being incompatible with their real life situations.